For over a decade, Gammage has examined written and visual records of the Australian landscape. He has uncovered an extraordinarily complex system of land management using fire and the life cycles of native plants to ensure plentiful wildlife and plant foods throughout the year. We know Aboriginal people spent far less time and effort than Europeans in securing food and shelter, and now we know how they did it. With details of land-management strategies from around Australia, The Biggest Estate on Earth rewrites the history of this continent, with huge implications for us today. Once Aboriginal people were no longer able to tend their country, it became overgrown and vulnerable to the hugely damaging bushfires we now experience. And what we think of as virgin bush in a national park is nothing of the kind. "A beautiful and profound piece of writing, one that has importance for us all." --"Age"
Bill Gammage’s book is an interesting thesis on land management by Australian indigenous peoples. He has collated some great stories and evidence coupled with illustrations. The book uses robust arguments. Unfortunately the book only reports one side of his argument. Gammage makes logical leaps from a few examples to a generalisation. While the book is for lay readers, he does not report for example where old maps, descriptions, paintings or drawings do not agree with his theory. He also does not seem to reported any indigenous descriptions of the landscape or whether there were none. The title assumes one group managed the land as one - but this is not demonstrated. That being said, the book certainly challenges our thinking about indigenous land management - that is a good thing. 3.0 out of 5 starsProblems with sentence structure/grammar in the electronic version. Don’t know whether it’s just the case with the electronic version of this book, but there are problems with the sentence structure/grammar throughout this book. This makes it a grind to read and interpret the meanings of each paragraph. This is a shame because I know the content is there. 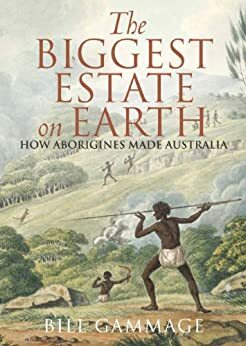 Fascinating book that gives you a very definite picture of Australian Aborigines that was never taught to me at school. Aboriginal ingenuity, intelligence and commonsense is carefully unfolded in every page. Thoroughly enthralling, should be required reading in schools, as the book explains how aborigines looked after Australia in ways that few people realise. His in depth research and subsequent explanations, put pay to those who believe aborigines were indolent savages who roamed about aimlessly. They made Australia a great way of life before 1788. 5.0 out of 5 starsAn attempt at THE truth. Well documented and written. There does not appear to be any sugar coating. Shows ignorance with both 1st nation and european culture toward each other. Details harshness of life at the time. 5.0 out of 5 starsImportant historical perpsective. Little appreciated lessons about First Australians' care for Country. Good reading. Learnt at lot about early Australians, that I wasn't taught in school. Changed the way I think about our landscapes.